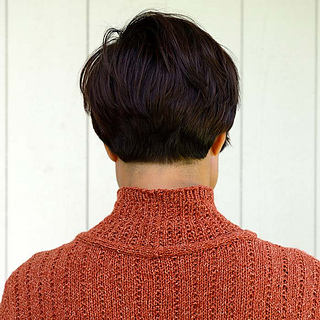 There’s plenty of minimalist sophistication in this sweater that sets of two tiny knit and purl patterns against each other. 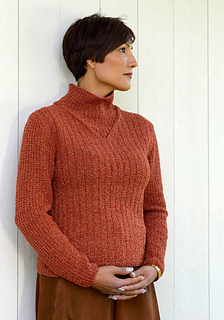 The unusual neckline construction provides additional interest. Shown in size small with no ease.